Established in 1977 by David and Philippa Cannon. 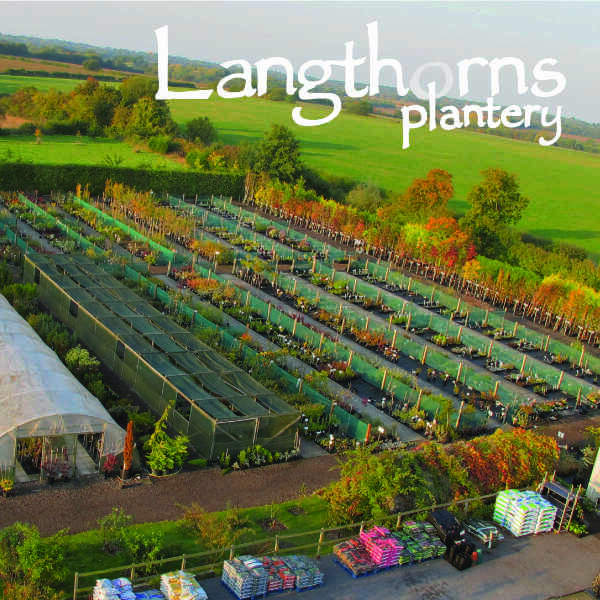 Langthorns Plantery is a second-generation family business specialising in top quality ornamental plants, shrubs and trees, and boasts many uncommon and heritage species that are more difficult to obtain. The site is laid out in differing sections; ornamental trees, including some fruit trees (eg. Quince, Medlar, Mulberry and Apricot), herbaceous perennials, shrubs, grasses, alpines, bamboos, herbs and vegetables, conservatory plants during the summer, roses, climbers, conifers and hedging, as well as areas dedicated to plants that thrive in shady conditions. The company motto 'We Live Plants; We Love Plants' reflects the dedication of Edward Cannon, a self-confessed plant addict, who took over the running of the Plantery in 2001. Edward and his team ably assist gardeners of all levels and abilities to procure their dream gardens with appropriate ornamental trees, plants and shrubs. In 2017, Langthorns Plantery became the only Essex-based plant centre to be granted a Royal Warrant to Her Majesty The Queen as a supplier of ornamental plants, shrubs and trees; a fantastic accolade, both in recognition of their quality plants and services and in their sustainability ethos. Please enjoy our site and email any questions to us on info@langthorns.com or give us a ring on 01371 872611. We will do our best to answer the phone but during the busy months you can always leave a message on the answerphone or email us. Langthorns Plantery is situated just off the A120 near Stansted Airport and is open 7 days a week between 8.30am and 6pm (Easter Sunday 10am - 4pm) or dusk in the winter months. If you are visiting us for the first time then please click here for directions and here to view our map. Please browse through the site as we are always open for customers to collect their plants. If you wish to have an order ready for collection please e-mail your request via the website and we will compile it for you. We now offer a mail order service for anything that we can fit into our boxes. These are normally plants 1m or less in pots no bigger than 7.5lt. We will contact you if you order anything too big to send. All the images you find on this website are taken here at Langthorns Plantery and are subject to copyright.